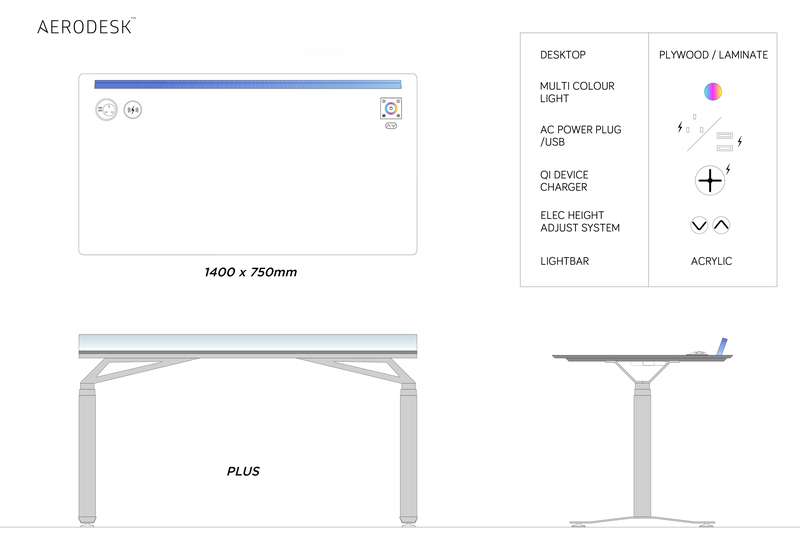 The Aerodesk Plus is a height adjustable desk and represents the mid-level model for the Aerodesk range. 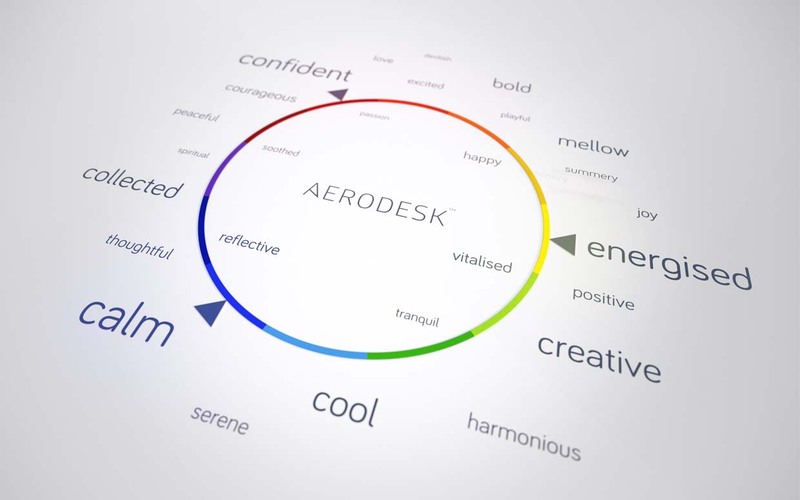 The Aerodesk Plus has a unique Lightbar which gives daylight simulation or fixed colour light with the use of a digital colour mixing wheel and an integrated RGBW LED strip. 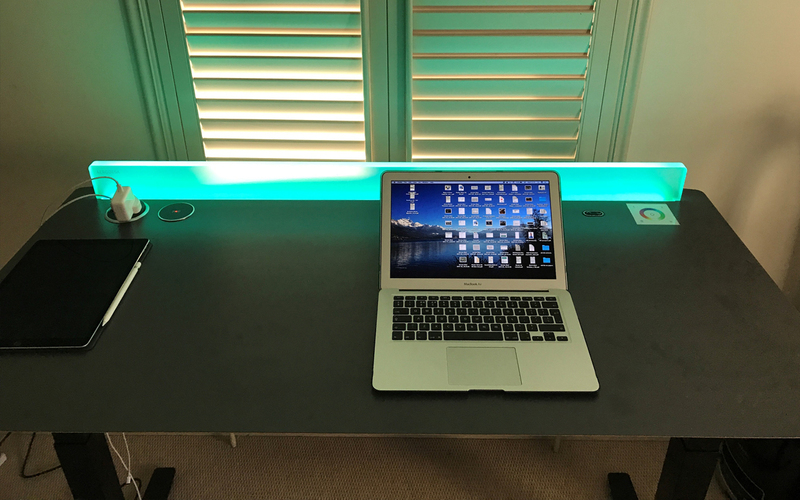 The desk is comprised of a CNC cut 25mm plywood top with a plastic laminate to top surface. 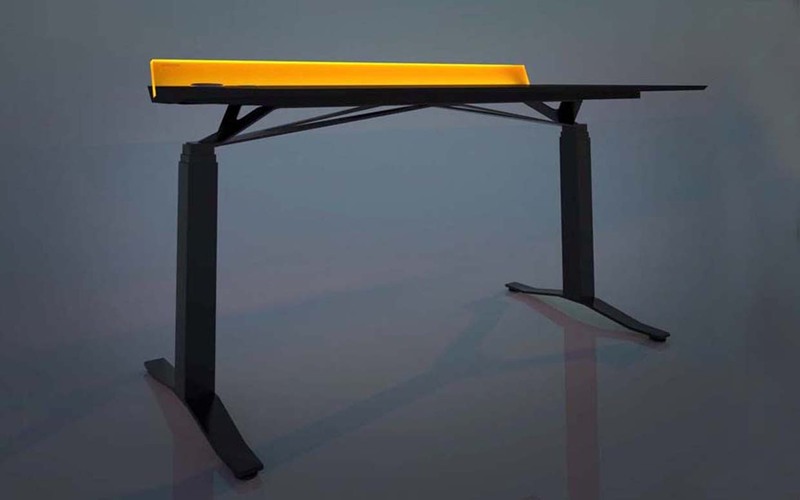 The leg assembly is of mild steel construction with a powder coated finish. The height adjustable mechanism is supplied by Linak.